Only 1% of organizations around the world are putting their data to work. Rather than overcomplicate things by blabbing about blockchains and AI and machine learning, we wanted to remind our audience what data analytics is really all about: asking questions. So we partnered with an organization that had oodles of data (the NCAA®). We started asking questions. We found some very interesting insights. And we put the whole kit and caboodle to work to render LIVE TV spots that made real-time predictions during the Final Four Men’s Basketball games. When you know what your data knows, you can do some pretty cool things. 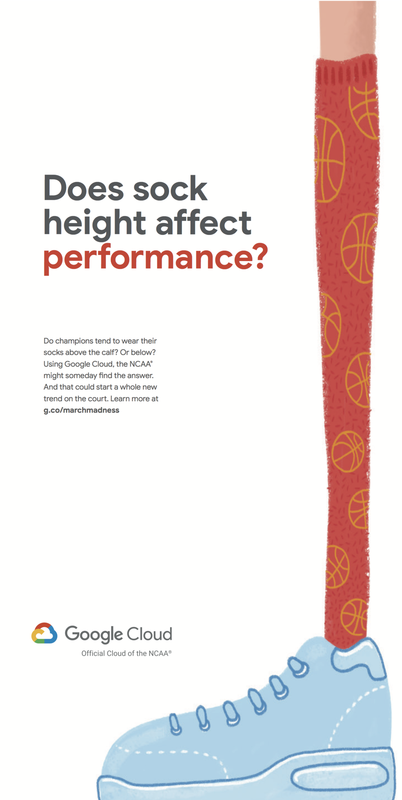 Armed with 80+ years of NCAA data, we proposed some questions the NCAA could answer using Google Cloud in a series of spots that ran during March Madness. During the Final Four games, alongside a pack of Google engineers and data scientists we crunched the numbers, used AI to render spots, and got them on air all within just ten minutes. Quick fact: Google Cloud is faster than Amazon and Microsoft at returning a complex query. Here are a few other interesting nuggets we uncovered. New York Times and Wall Street Journal readers woke up to a prediction about the championship game the day of. With Villanova being one of the most prolific three-point shooting teams in the NCAA®, everyone’s expecting they’ll let it fly tonight. But what can the data tell us? By cross referencing student-athlete performance with overall team stats, Google Cloud found that Villanova has five student-athletes who consistently contribute 12 to 22 percent of the team’s total made-three-pointers per game. And when they connect, they do so from 2.178 inches farther away from the basket than Michigan. So while Michigan is strong at defending against the three, guarding that many shooters could be a tall order in San Antonio. Find out what your data is trying to tell you. 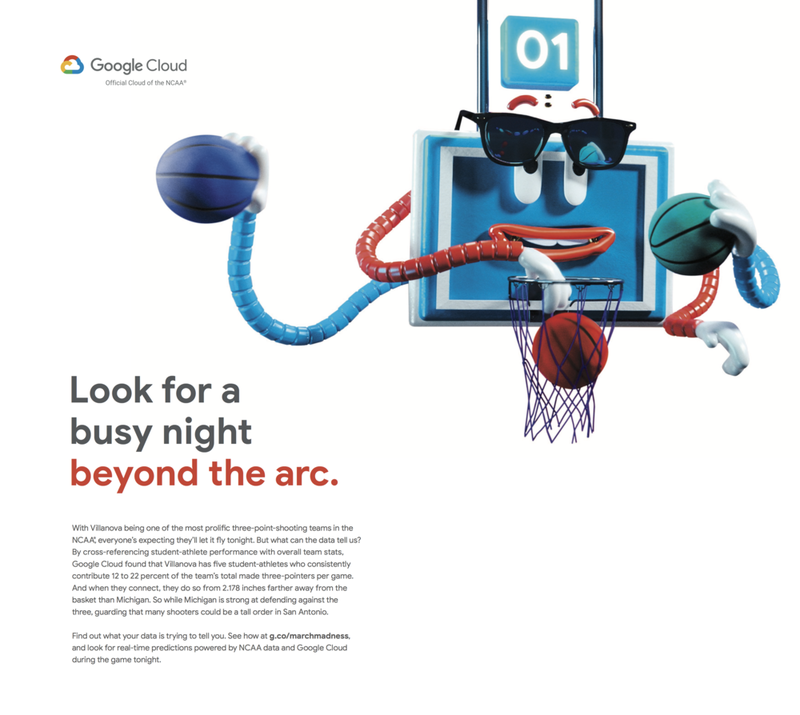 See how at g.co/marchmadness, and look for real-time predictions powered by NCAA® data and Google Cloud during the game tonight. A deeper explanation as to what Google Cloud can do with NCAA® data, produced by Michael Lars White and Tom Zukoski.